Rose Will Monroe, who became known as “Rosie the Riveter” dies at the age of 77. Rose worked at an aircraft parts factory during World War II, and was “discovered” by filmmakers producing a film promoting war bonds. 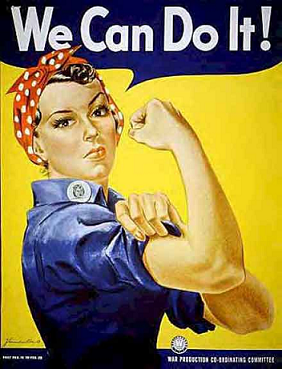 The song and the iconic poster were already well known and a real-life Rosie who was a riveter “proved too good for the film’s producers to resist,” said Monroe’s daughter. 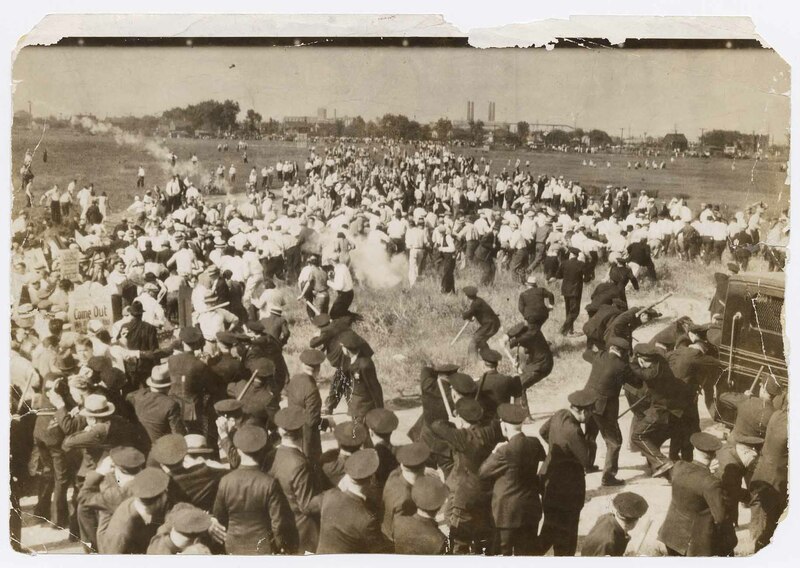 In what would become known as the Memorial Day Massacre, police open fire on striking steelworkers, their families, and supporters who were marching to the Republic Steel plant in South Chicago to set up a picket line. The police killed ten people and pursued those fleeing the attack, wounding many more; no one was ever prosecuted. 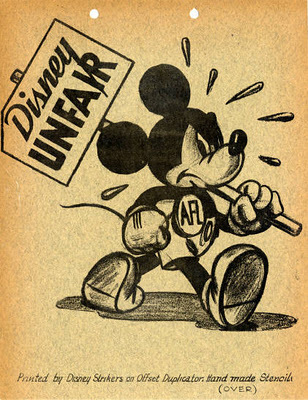 Animators working for Walt Disney begin what will become a successful five-week strike for recognition of their union, the Screen Cartoonists’ Guild. At least 30,000 workers in Rochester, NY, participate in a general strike in support of the nearly 500 municipal workers who had been fired for forming a union. 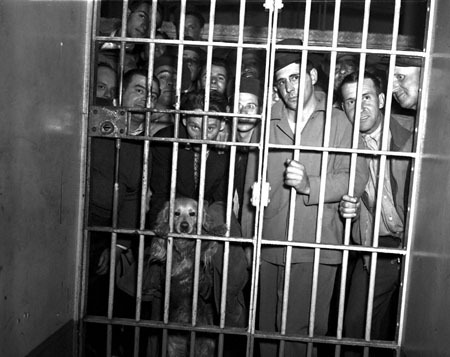 The next day, the city agreed to reinstate all of the discharged workers, drop the illegal charges against arrested pickets, and recognize the workers’ right to organize and bargain collectively. 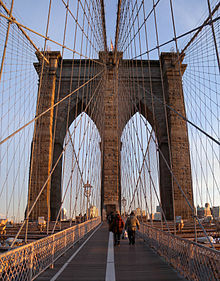 The Insurance Workers International Union (IWIU) is founded through a merger of the Insurance Workers of America (a CIO-affiliated union) and the Insurance Agents International Union (an AFL-affiliated union). 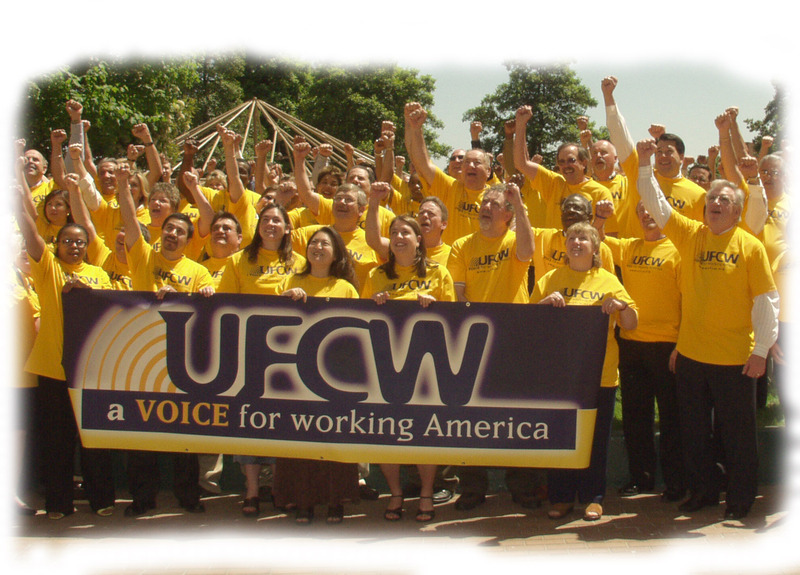 The 15,000-member union merged with the United Food and Commercial Workers (UFCW) in 1983. Ford security attack union organizers and supporters attempting to distribute literature outside the plant in Dearborn, MI. They then tried to destroy the pictures photographers had taken that documented the attack, which became known as the “Battle of the Overpass.” The photos that survived inspired the Pulitzer committee to establish a prize for photography. 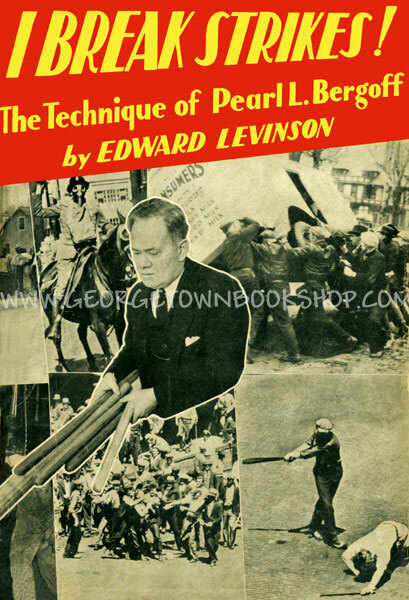 The Remington Rand strike begins, a strike that is notorious for the company’s use of aggressive anti-union tactics that becomes known as the “Mohawk Valley Formula,” a corporate plan for strikebreaking. 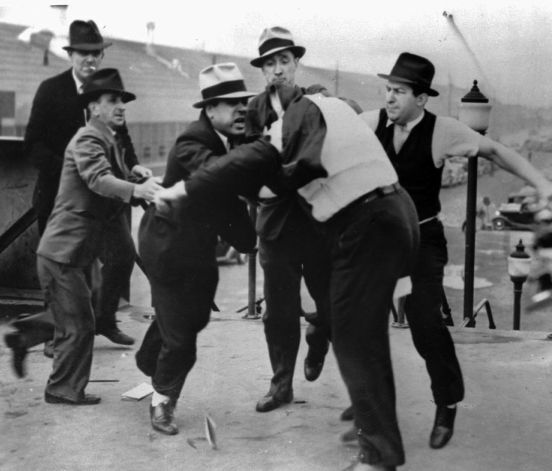 In a monumental 120-page decision that recounted the company’s actions – which included discrediting union leaders, hiring thugs to instigate violence, and threatening to close factories – the NLRB ordered the company to recognize the union and make restitution to the workers. A five-day battle begins between striking Toledo Electric Auto-Lite workers and the Ohio National Guard, who had been sent in to break the strike. 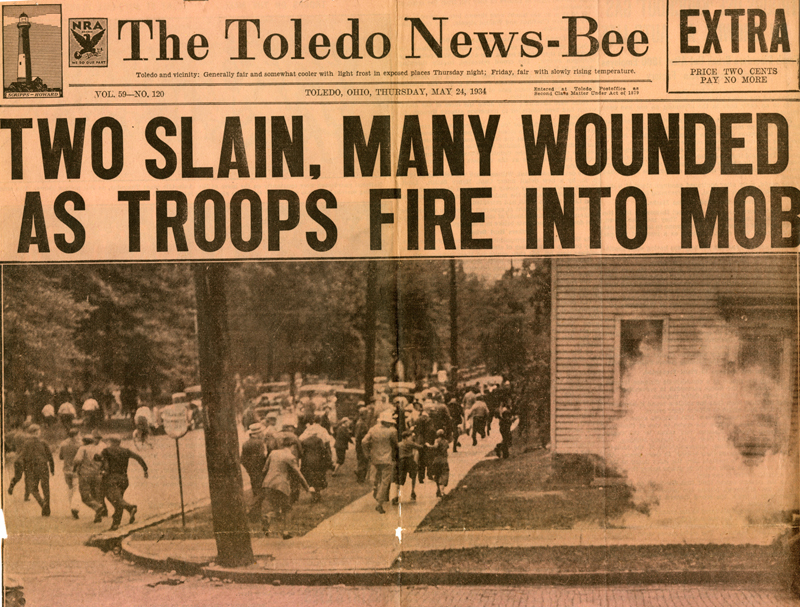 “The Battle of Toledo” left two workers dead and more than 200 injured. The strike ended in early June when the company agreed to the workers’ wage and union recognition demands. 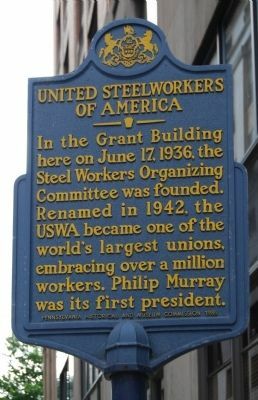 Delegates to the Steel Workers Organizing Committee convention in Cleveland, OH, form the United Steelworkers of America and elect Philip Murray, SWOC chair, as the international’s first president.